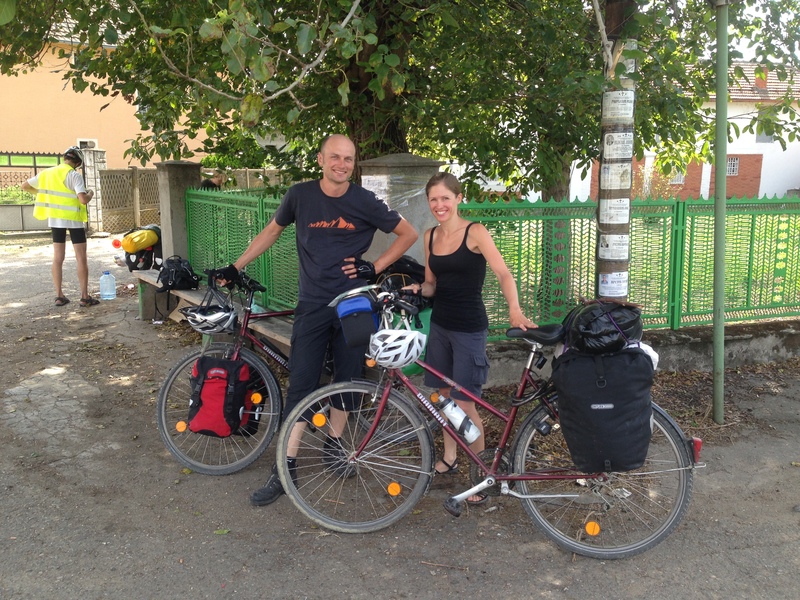 I met Astrid and Johannes (Germany) briefly on my trip between Kladovo and Negotin. They started their trip in Budapest and are traveling up to the Black Sea, following the Danube. It is a preparation ride for their next journey starting from Istanbul and going to China. They were riding +20 year old bikes, formerly owned by Johannes parents. Very enthusiastic and curious, they were learning how to get prepared for their next big trip. And what better preparation than experience. I found their setup a good example that you don’t need high tech material for this kind of trip. But I must add that I I’m very happy with my setup. I’m looking forward to here from you guys once you start with your big journey.